Present were Ron Williams, Robert Garner, Allen Palmer, Glenn Lea, Frank King, Bob Erickson, Grant Saviers, Bill Flora, Chuck Kantman, Ed Thelen. 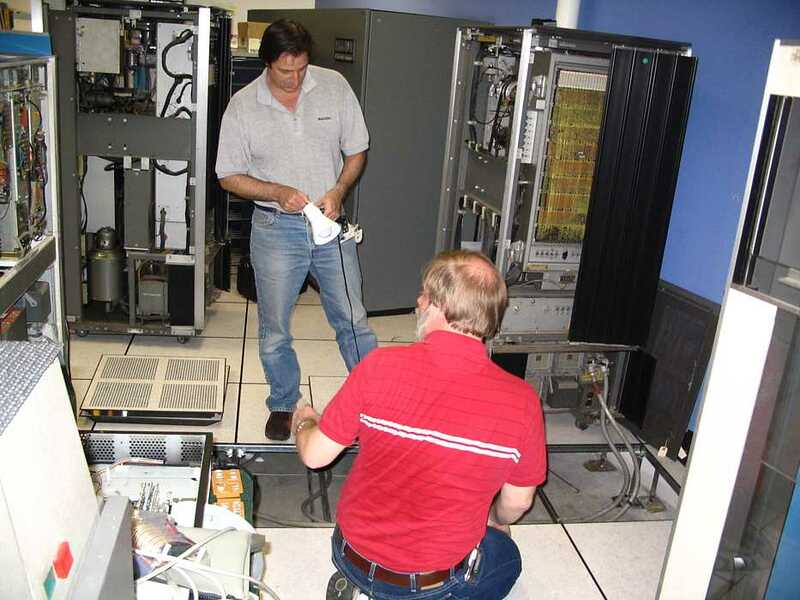 Allen Palmer and Glenn Lea contintinued disassembling and cleaning the remaining 4 tape drives. 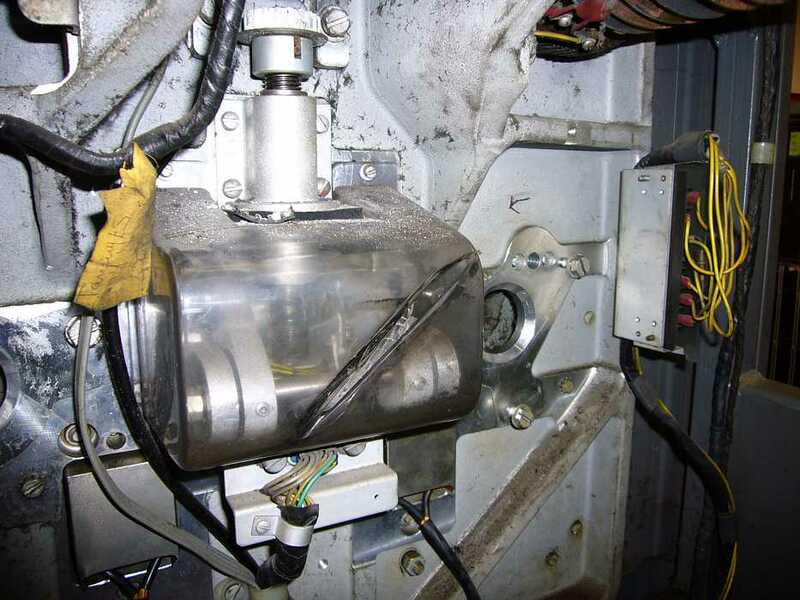 Bob Erickson and Frank King continued rewiring, testing and timing the 077 - then while testing it, the set screws of a gear loosened and made a loud but harmless noise. 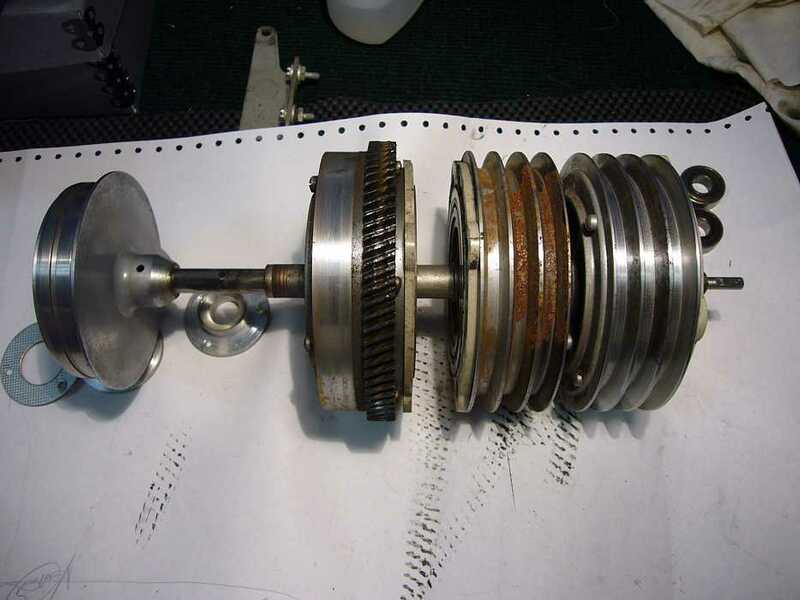 That was maybe the only gear that had not been disassembled from its shaft during our restoration. 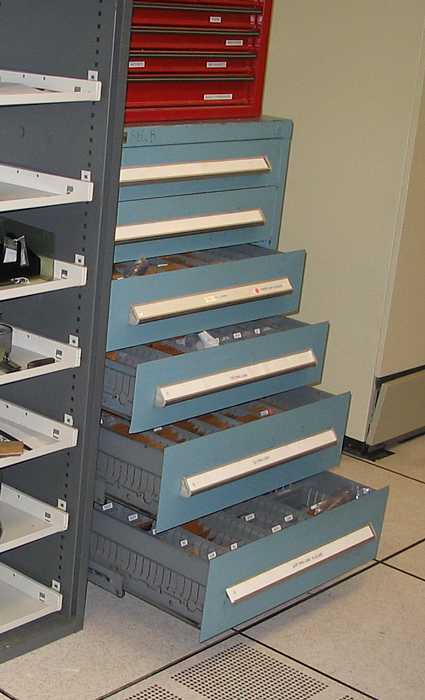 including drawers suitable for storing spare SMS cards for the 1401. Ron Williams and Bill Flora continued with bug shooting the instruction-I/O overlap problem. A fix discovered by the TAU group last Thursday has reduced the complexity and Ron and Bill promise a resolution "Real Soon Now". Bill Flora is bug shooting a card read check problem. The card reads correctly into memory, but if any punch is in columns 73 or 78, a read check occurs. 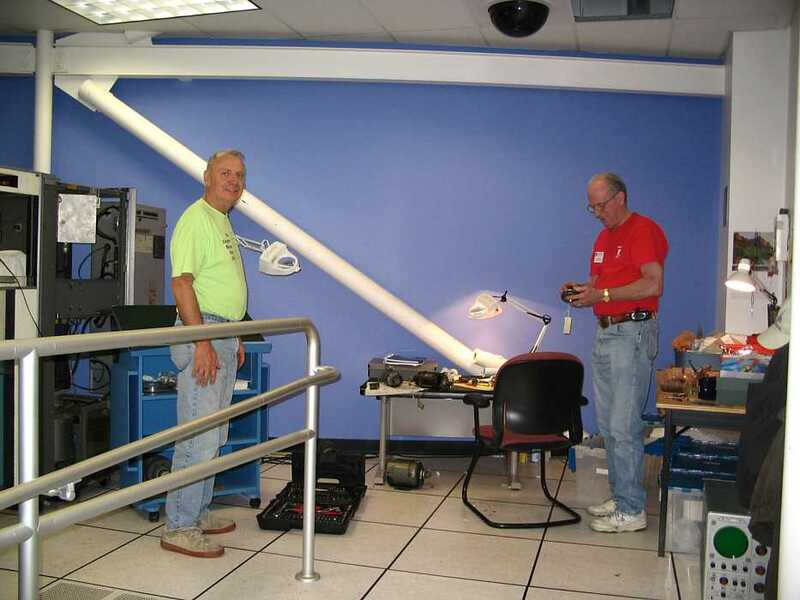 The goal of Robert Feretich and Jeff Stutzman was to get the tape system set up for the TAU group's regular Thursday exercize - connect the newly "re-manufactured" 729 mod V "green dot". - the exercizer was "daisy chained" to the 729 mod V.
The equipment was energized with 50 hz, including the exercizer. The 729 mod V refused to work at all - it got into a mode of slowly advancing tape as though looking for the load point - and stayed there - pausing only when the RESET button was pressed. The 729 is a dual channel drive, capable of being driven by either of two computers, switch selectable. And there is also a switch selectable test and operate mode. We made an *extended* call to Allen Palmer (now at home) to try to resolve the switch combinations. (Robert is on the floor because the switches are really low.) Nothing seemed to work. We disconnected the drive from the system and it stayed in that mode. It was decided that the 729 logic had failed. Allen says "Much news, ask Bob for update.. I spent almost 10 hours there working on the TAU/Drive problems." Present were Ron Williams and Bill Flora, with Ron Crane and Robert Garner arriving later. 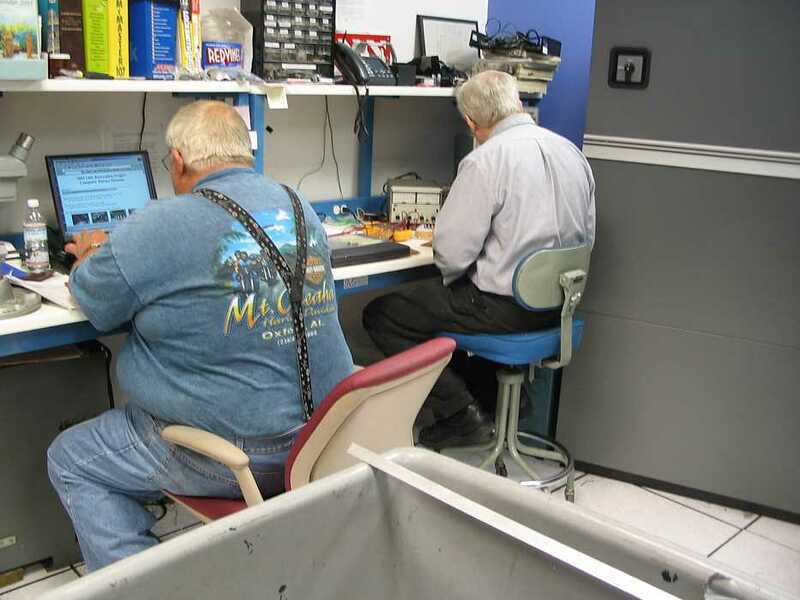 Ron Williams and Bill Flora retiming the circuit breakers [CBs] in the 1402 card reader trying to get rid of the reader checks. The "CBs" are not the replacements for fuzes in your house, but cam operated contact points to open and close a circuit to an accuracy of 1 degree of rotation - Very much like the "points" in the ignition system in older gasoline engines - and the timing is even more vital. That didn't work, so a wiring check showed a broken wire from column 71 of the read check brushes. Now fixed. Ron Williams was also working on the Instruction Overlap problem, which prevents the machine from (among other things) executing a loader reading in an object deck. He is now suspicious of TAU (Tape Adaptor Unit) signals. Ron Crane fixed more SMS cards. Ron Crane thinks we should swap out ALL the slow 2N1303's with the fast, 102-eqiuv silicon 2N2894's on the repaired TAU boards. (For a while we were replacing failed 102 type transistors with 2N1301 transistors, which turned out to be much slower.) About a dozen suspects. We have an intercontinental project going. The 1401 system came from Germany. Not only do "spare" parts and help come in from Red Bluff, Ca, Atlanta, GA. , e-bay, Digikey [of Thief River Falls ;-), Minn] , ... - but now from Australia - just about the other end of the earth. Ron Williams and team have been straining failing eyesight trying to read the ALDs (IBM term for schematics) from Germany. - The Germaan ALDs are the results of many generations of copying - faint and bleary, just like our eyes :-(( Even Ron's big magnifying glass is weary. John Dean of Sidney, Australia has a much more readable set of 1401 ALDs with about the right options. He sent several scanned samples to Robert Garner. John found a copy place willing to scan the ALDs to CD or DVD for A$525 (Australian Dollars). Present were: Bob Erickson, Ed Thelen, Robert Garner, Frank King, Chuck Kantmann, Don Cull, Bill Flora, Grant Saviers, Ron Williams, Ron Crane. John Toole and Dave Dial (both of CHM) also dropped by. Ron Williams, Bill Flora, Don Cull continued to struggle with instruction overlap. 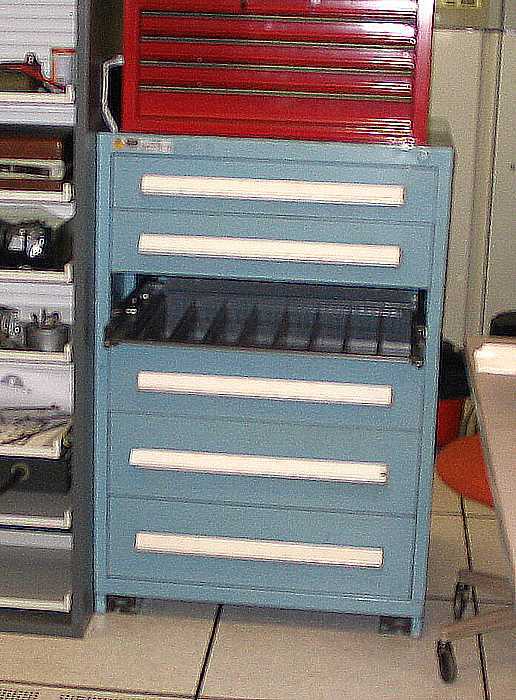 Grant Saviers brought in some more tools, and 100 more separators for the SMS drawers. 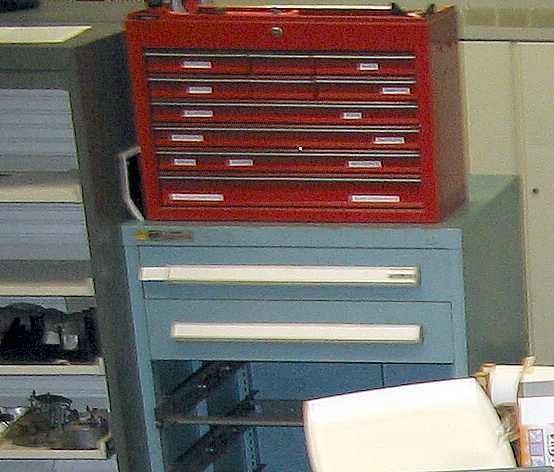 He arranged tools in the main tool chest, and made/placed labels. 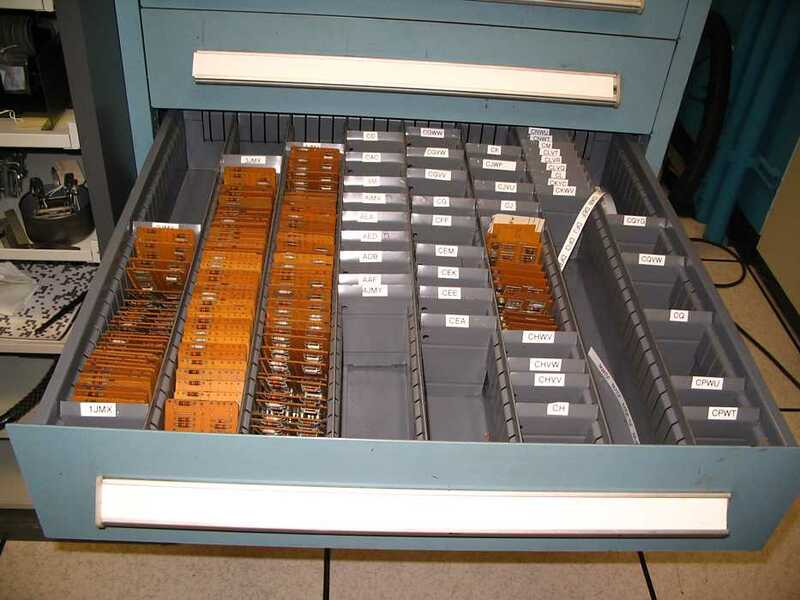 Ed Thelen and Chuck Kantmann continued making labeling SMS drawer separators, and taking the unsorted SMS cards from the various boxes and sorting them into the SMS drawers. There are some types of SMS cards We have a large number (say 30+) of some types of SMS cards. As there will not be enough room in the 4 large SMS drawers for all the cards, some of the surplus cards are being returned to now partitioned and labeled boxes. Ron Crane fixed several obviously damaged cards from the spare SMS cards. 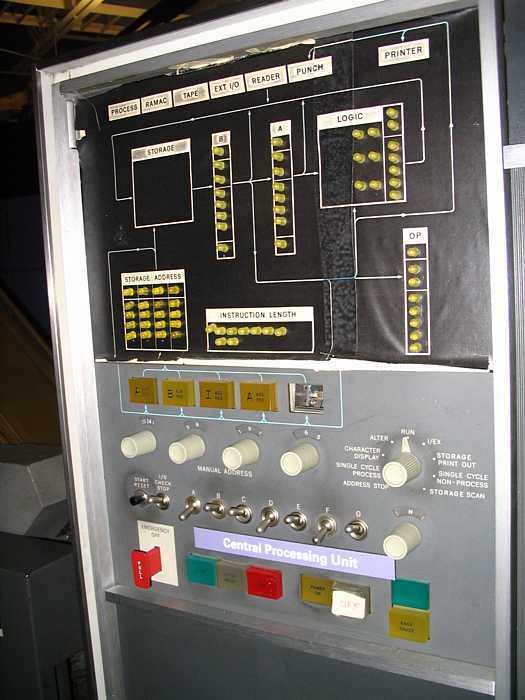 We are proposing that this fakey 1401 operator panel (on the 1401 in Visible Storage) be replaced with one of "our" spares - one from original purchase from Germany, one donated to "us". Note that someone drilled holes and inserted non-period yellow LEDs into the this front panel, and the white paper function labels are also bogus. 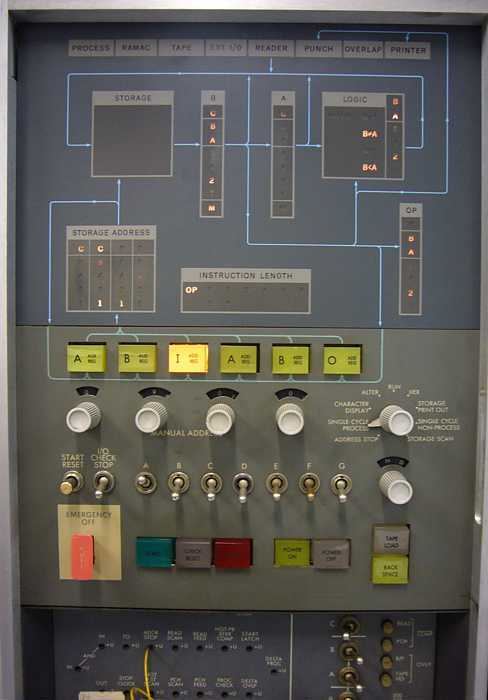 A real 1401 operator's panel is on the right. This is the Visible Storage 1403 printer ribbon with the ends of the quick change print chain just visible on each side. The 1403 print chain on "our" machine is not the "quick change" type - the operator cannot change it. A Customer Engineer must do the more complex work. We investigated that lack of a "ready" response from the drive. The +P_Sel&Rdy_Mod_II and +P_Mod_5_or_6 lines are supposed to become active in response to a "select" from the TAU. We replaced a bad card that prevented +P_Mod_5_or_6 from becoming active. We isolated the +P_Sel&Rdy_Mod_II failure to 1.8K Ohms resistance between the driver card and the terminator (should be < 1 Ohm). The only circuitry between these points are the port select relays. Since this was the second "high resistance" problem with these relays (in three signals), we pulled all the relays out for cleaning. We installed the Analog Board and the PIC module in the Analyzer. Great news, nothing blew up or caught fire. The PIC was able to be programmed. After some confusion, we were able to download an Analog Board debug program to the PIC. The program continuously writes a 0x55 to the Analog Direction register. The AnalogStrobe Signal appears at the AnalogBrd:C1 buffer chip input and output, but does not appear on the clock input of any register (there is no wire wrapped on the buffer output pin. The 0x55 data appears on the input to the data bus buffers. The outputs of the buffers are stuck 0x00. 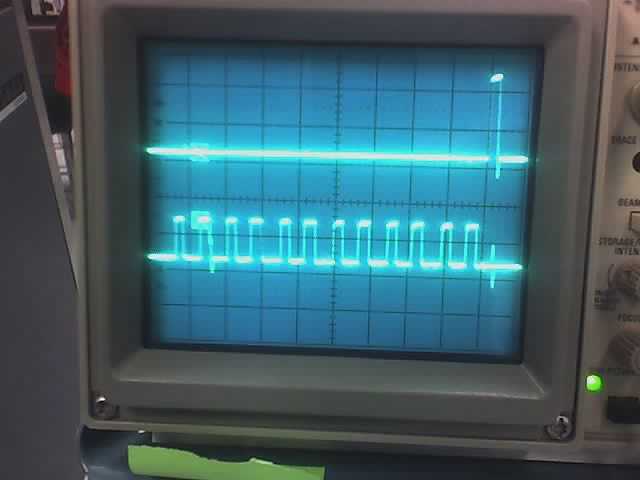 The resistance between the buffer outputs and register data inputs was <1 Ohm. Our guess is that something else is connected to the nets that shorts all of them to logic low levels (about .2V). We left the test environment intact in the Analyzer. Powering up the Analyzer should result in a dim (quickly flashing) red LED on the PIC. This dim LED indicates that the test loop is running. Do you want to do next Thursday at your shop? 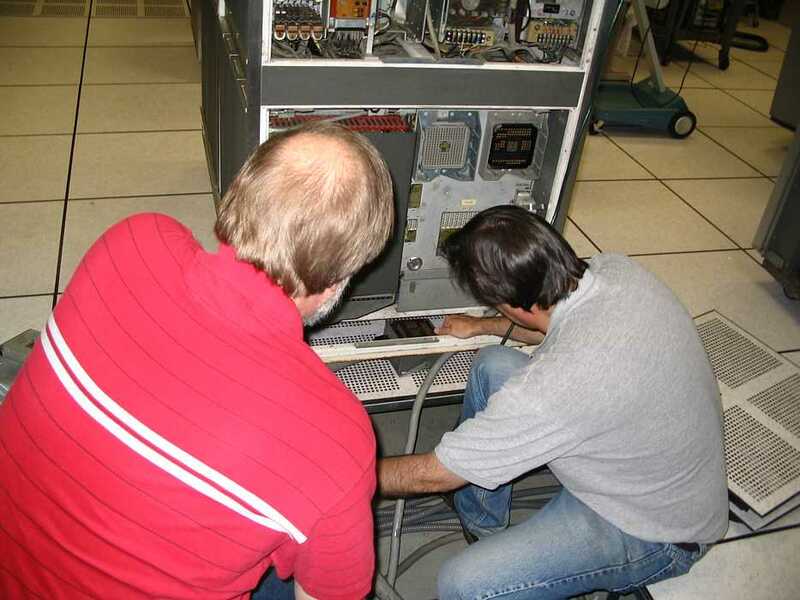 We can refurbish the relays and debug the Analyzer in a more capable environment. Present were Glenn Lea, Frank King, Chuck Kantman, Don Cull, Don Luke, Bob Erickson, Ed Thelen, Ron Williams. Robert Garner and Ron Crane were there briefly. Electromechanicals Bob Erickson found another relay with an open magnet coil in the 077 collator that was preventing successful compares between the two input feeds. An application form to access an 077 in Visible Storage or elsewhere has been submitted. 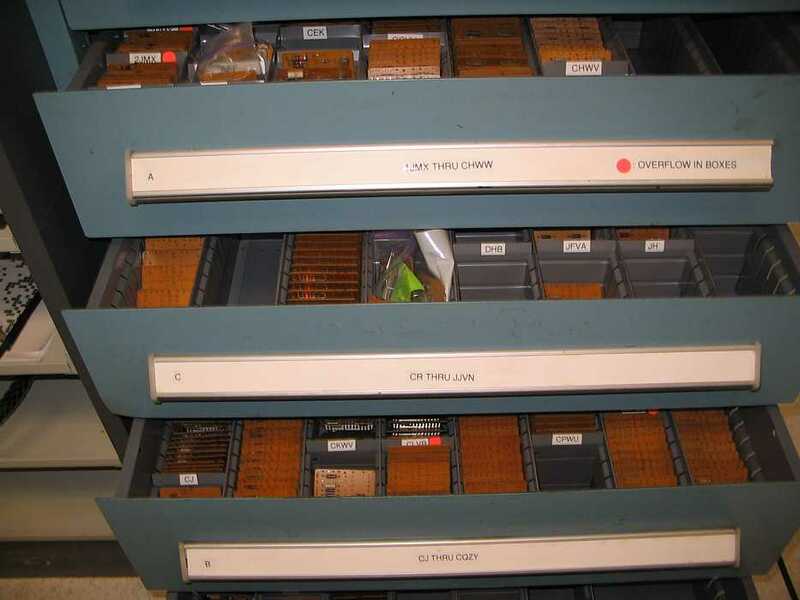 Chuck Kantmann and Ed Thelen completed labeling, and filling the four new drawers with SMS cards. Chuck Kantmann and Ed Thelen (with Ron Williams our customer observing intently) completed a count/inventory of the SMS cards in the four drawers and overflow boxes. And yes - the drawers are a little out of sequence :-(( After filling the drawers we discovered the bottom four drawers were *not* the same size. - When life is less pressing, we may swap the contents and labels of two drawers. a random scene - Chuck Kantmann and Ron Crane intently ??? Frank King feels that he has worked himself out of the job of getting the 1403 printer going, :-))) and is getting organized to overhaul the 083 sorter that came in with the shipment from Germany. Len Shustek of CHM came by and suggested that the troublesome long fold out schematics could be copied at Kinkos - they have appropriate equipment. I went to Kinkos and copied two of the long fold out schematics. - and even enlarge a 1 foot high input by a factor of 2 giving a 24 inch high output. The "interposers" in the punch part of the 026 are sticking, and these are read by the print logic to set up the character to print. The print trouble we were having was *not* a problem in the mis-alignment of the print platten vs. print wires. Bob says that cleaning these interposers is a 25 hour job for someone who is current in doing the job - maybe double the time for Bob who has not done that for 50 years. The probable 50ish person-hours to disassemble, work on, reassemble the 026 key punch is many work sessions where a working key punch would not be available. 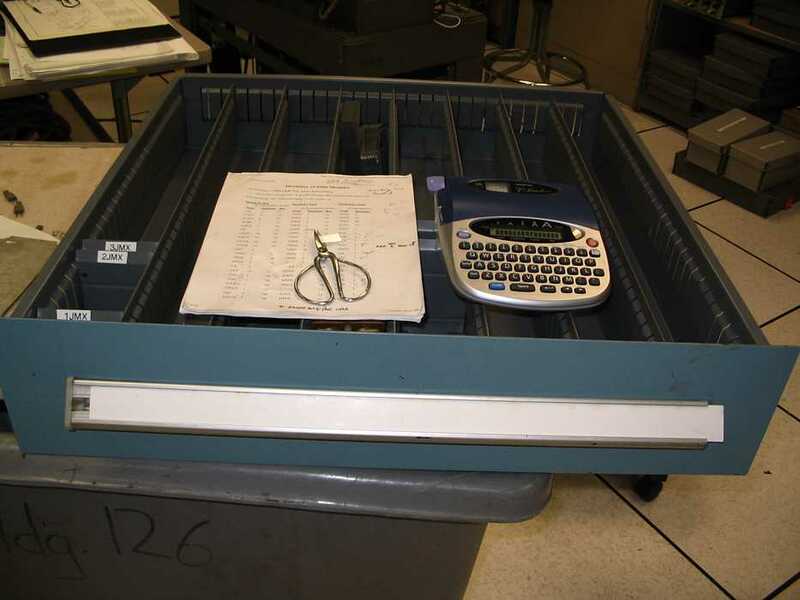 - And we need a working key punch to make check decks for the 1402 card reader, the 077 collator, and the upcoming 083 sorter - much less any software functions. 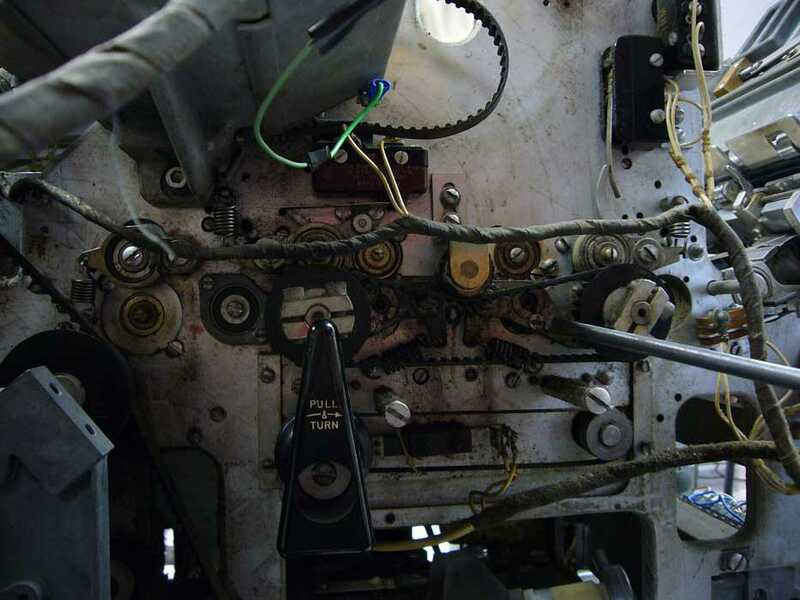 Therefore, Bob would like one or more working key punches available to the 1401 restoration crew before attempting to clean/lubricate/... the 026 interposers and get the 026 print unit working. Bob thinks that if a working key punch is available, we should borrow it. We disassembled and refurbished the 12 port switching relays from the drive. The pin wires were ultrasonically cleaned. Fixed contacts were blasted with glass beads. One relay was damaged (part of a coil pin broke off), but the damage doesn't seem to effect the relays operation. The damaged relay has been marked, just in case in the future... Once re-assembled, contact resistance was typically <0.2 Ohms. The contacts and wires look brand new. Jeff downloaded the Analog Board Test Loops that he and Dave created into the Analyzer's PIC. Grant and Jeff debugged the Analog Board's registers and pulse shaping circuits. We tested the relays. All closed contacts showed <0.2 Ohms. All open contacts showed infinite Ohms. We re-installed the relays into the drive. Note that the "damaged relay" (#14) is marked. The circuit driving the coils of these relays places their pick and hold coils in series. The damaged pin has been bypassed by adding a jumper wire between the pick and hold coils of this relay. This relay will not work in applications where pick and hold coils are operated independently. While Jeff and I were checking out the drive, Ron was doing some overlap debug. Jeff noticed that Ron's card read operations were changing the signals/lights on the tape channel. We found two bad SMS cards that permitted the TAU to react to other I/O instructions. The tape drive is now receiving much better level signals from the tape cables. However it is no longer lighting up its "Select" indicator when selected. A videographer (guy with camera) visited today. He was making a film on robotics. While he was there we had the lights flashing on the CPU while the card reader, line printer, and tape drive all were in action. 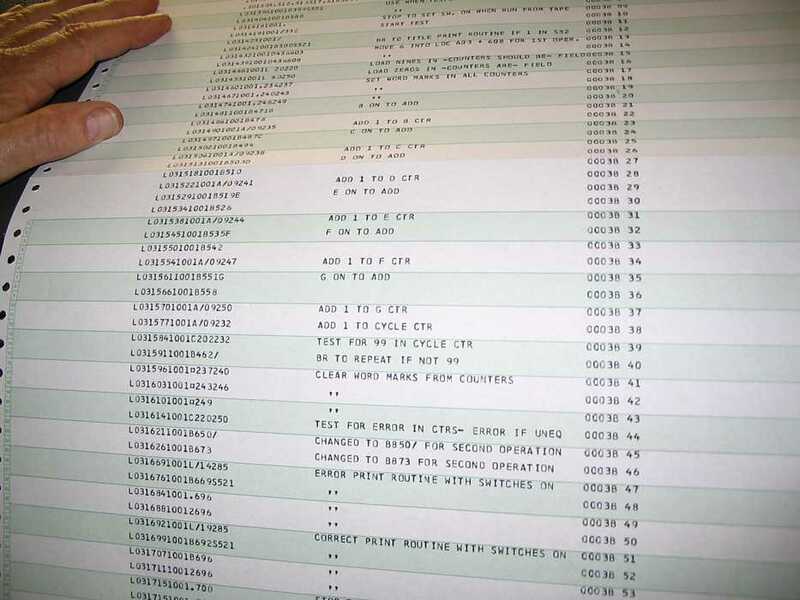 It looked like the restoration project was complete and we had a Fortran compile running. On two work days, 5/4 and 5/11/2006 debug of the 729 V to 1401 TAU was halted by high contact resistance in the 729 dual port relay switching panel. This is another case of our 1401 system having unusual options. 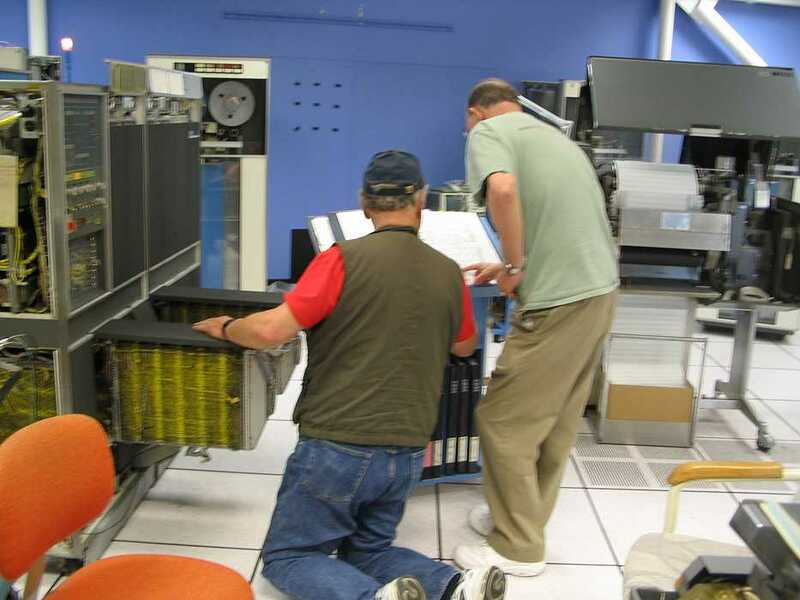 We believe the purpose of the manually operated static dual port option was to allow sharing of tape drive between a 1401 and a 7000 series mainframe, when the 1401 acted as a card to tape or tape to printer server. Contact resistance was measured at 1000 ohms plus for a couple contacts in the single relay that was removed. Visual examination on 5/4 should extensive accumulations of paper dust in the open contact wire relays (12PDT). Visual examination showed significant corrosion products in the wire sockets and on the stationary contacts. Allen P. carefully removed several of the center pole wires and replaced them and burnished the fixed contacts with a relay contact file. The offending contacts seemed to operate successfully. On 5/11 additional high resistance contacts were found and the decision was made to clean all of the relays and verify their operation in a bench test. All relays were removed and marked as to locations. Grant ordered fine glass bead blasting media (150-300 mesh) from MSC for use at a work session planned for the following week at his shop. On 5/17 Bob Feretich, Jeff Stutzman, and Grant Saviers commenced work at 8:30 am to clean the 15 +/- relays. Ron Crane joined us later in the day. The relays were completely disassembled, coils were marked to correspond to their respective relay body and all wire contacts were removed. The wires were ultrasonically cleaned in a detergent and hot water solution, about 1:10 ratio for about 5 minutes in 250ml glass beakers containing about 50 wires each. Each batch was rinsed 5 times with hot tap water followed by one rinse of room temperature distilled water and a last ultrasonic rinse with distilled water. They were then dumped into a coffee maker filter and individually divided onto paper towels to dry. 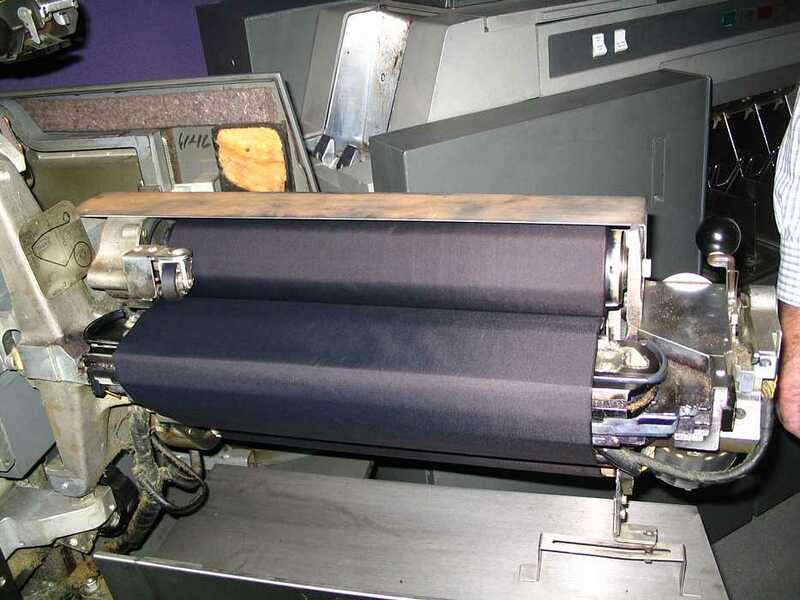 The blast cabinet was emptied of the silicon carbide blasting media, thoroughly cleaned with high pressure air, and loaded with about 5 lbs of glass bead media. Each relay body with molded in fixed contacts was bead blasted with the very fine glass bead media in a siphon feed closed bead blast cabinet at a 40 psi air pressure. Each fixed wire contact and the flat pins that mate with the relay sockets were cleaned just to the point of removal of corrosion, tarnish and other collected grime. Visual examination of the wires and relay bodies showed no contact pitting or mechanical wear. They looked "as good as new" and only slight dulling of the bakelite bodies was evident from glass bead overspray. It appears highly likely that the wires are gold plated. This also seems likely since the spare parts inventory of wires are clearly plated with a bright white plating. None are tarnished so silver seems unlikely. Rhodium or platinum are probable platings on the spares but we have not undertaken any effort to definitively resolve this question. (Auger or back scatter x-ray scanning electron microscopy can easily and non-destructively resolve such issues). It also seems likely from visual 20x microscopic examination that the fixed contacts may be selectively gold plated. However, the gross level of corrosion that was present and how this could be done in production challenge that observation. We learned by trial and error how to reassemble the wires into the fixed contacts. This is a very delicate, lengthy, and sometimes frustrating task as two wires are in parallel for each of the 12 poles and all are held and tensioned by one 1/16" thick fiberboard tensioning plate. A dozen wires were bent in the first tries but all were successfully straightened and reinstalled. We learned the appropriate level of tension for the wires. 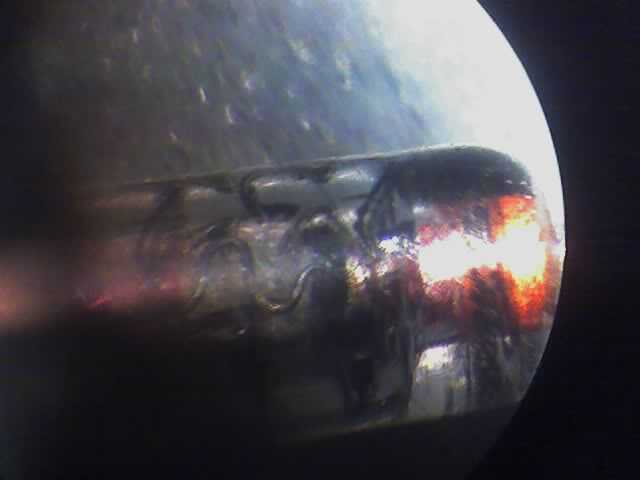 One relay coil connector pin was damaged but subsequently it was determined it could be bypassed with a jumper (see posting for TAU work on 5/18). Re-assembly proceeded slowly and uneventfully until a (1 of 2) tiny armature return spring (0.075" diameter x .225" long x .009 diameter wire) flew out of the last relay into the shop. After a 1 hour "Easter egg hunt" the spring was found on the work table under some pliers. Thus, the last relay was reassembled at 8pm and the team (less Ron) retired for dinner and a beer or two. Subsequently, on 5/18 Bob and Jeff measured that all contacts of all relays had a measured energized closed resistance of 0.1 or 0.2 ohms (Fluke DVM measuring limit) and an open resistance of open. YEAH! The relays were re-installed in the 729 V and debug of the logic continued. Pictures are attached as follows: All were taken with a 5 Mp Sony camera through one eyepiece of a 20 power stereo microscope. Lighting was from dual HID light pipe illuminator. ... as I do believe that the other Mod V is also a 'switch able' drive. Also to add to Grant's write up I do believe that the 'switch' relays were both manually operative from the back of the drive and also from either attached 1401 CPU. We can check the ILDs for that. The only time I saw 'switch able' 729's was on a dual CPU 1401 systems with the shared drives. If you still have the blast cabinet set up with the glass beads perhaps we should pull the other set a relays & refurbish them. We might also thing about the many relays in the Mod 2 & 4 machines as both have many different types of relays in them. Almost all the mechanical operations - except vacuum columns / clutches - are controlled through relays. That is the major improvement in the Mod 5's - no relays. It would be a good idea to discuss this next Wednesday if Bob & Grant are going to be there. Seems as though we are moving more & more to a 'production line' rebuilding scheme, which I strongly agree with. I expect we will run into many 'relay condition problems' if we try to rebuild them one by one as we come upon a problem. I think you will be very surprised when you see how mechanical the mod 2 & 4's are. Replaced a card in the 729 and one in the TAU. Now the drive successfully performs "Rewind" and "Rewind & Unload" operations issued from the TAU. Yeah! I tried "Go Forward" and "Go Backward" operations from the CE Panel. The tape moves in the appropriate direction, but there is loud contact chatter. I looked at the "GO" signal, it is going active for about 15mSec at a ~20mSec period. This makes sense if short records are being read. I did not like the sound of the chatter, so I ceased debugging until I could meet with Allen and get his opinion on the situation. I also noticed that the 729's "START" switch and the "Caspain Out" switches are intermittent. The START switch has to be rocked back and forth to activate. Sometimes the caspains are out, but the switch signal does not detect it. We may need to refurbish the switch contacts. Ron Crane found multiple bad transistors per 729 card that we had marked for repair. 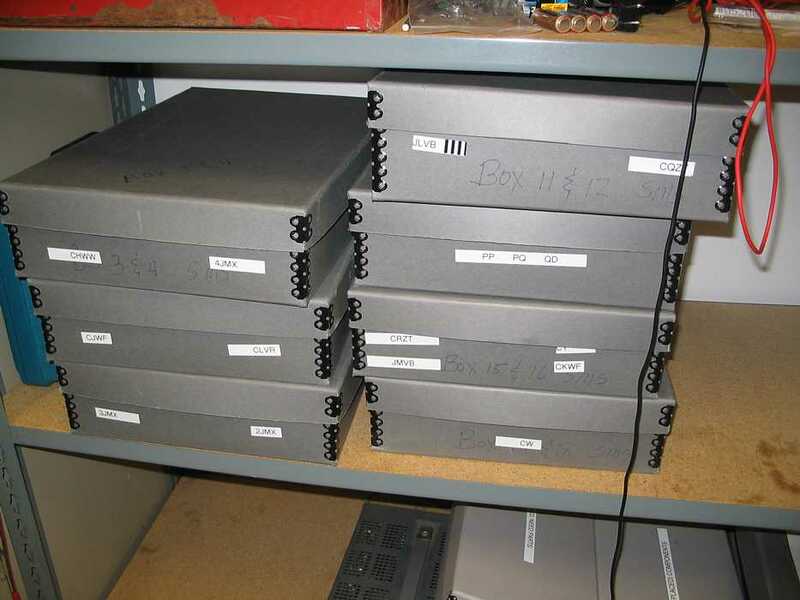 So, we pulled all of the APF (+P to S converters) and APE (-N to S converters) from both Model 5 drives. These card receive signals from the TAU. Each drive has 3 APFs and 6 APEs. Each card has 6 transistors. We built a test jig for the cards. The first 729-V (the one attached to the 1401) had many bad cards ( I think 7 of the 9 cards had faults.). We replaced 17 transistors and a diode. (Roughly 1/3rd of the transistors were bad.) The cards in this drive are very dusty. Some transistors were leaky. Some transistors had open junctions. These level converter cards are more sensitive to transistor degradation than logic cards, but that is a high percentage of bad transistors. Was this drive ever subjected to bad power conditions? BTW: The second 729-V drive does not have the dual port feature (no relays). Grant, Allen, and I met today to discuss Tape/TAU debug plans. Relays: One Mod 2 drive has the dual port feature (same types of relays as the Mod 5 that was just refurbished). The two Mod 2 and one Mod 4 drives use a lot of relay logic. Allen pulled three sample relays from the drives. The relays were in better shape than in the original Mod 5 drive, but each relay had at least one contact with resistance >100 Ohms. We decided that something needs to be done to improve them. Grant suggested a cycling fixture that would use an electric arc to clean the oxide on the contacts. We decided to take no action until Grant is back from his travels. CP16: Early in the session we popped CP16 several times. (CP = circuit protector (aka circuit breaker)). Allen exercised the caspian in/out sense switches and the problem stopped occurring. Chattering noise: Allen Identified the "chattering noise" that occurs during the "Go Forward" and "Go Backward" operations as the "normal noise the drive makes when transferring lots of short records". The drive seems to perform the TAU "Go Forward" and "Go Backward" operations successfully. The drive moves tape correctly for TAU "Write" operations, error indicators appear on the TAU panel. More work to do here. Each of the two Mod 5 drives have 32 MX__ SMS cards. (By far, its the most heavily used card in the drive.) It would probably make sense to build a test bed for these cards and test them like we tested the APE and APF cards. MX is a quad 2-inp NAND. Only one transistor per gate. Ron, please take a look at the circuit for this card and suggest a way to check it out. I would like to know if the degraded transistors are limited to the interface level shifter cards, or if the problem is wide spread throughout the drive. TAU/drive debug to continue Thursday. Present were Ron Williams, Bob Erickson, Ed Thelen, Allen Palmer, Glen Lea, Don Cull with Robert Garner and Ron Crane spending a few hours. He could vary the rate of starting the write commands from a few tape writes per second to maybe 10 per second, sounding like a machine gun (or chattering if you like). 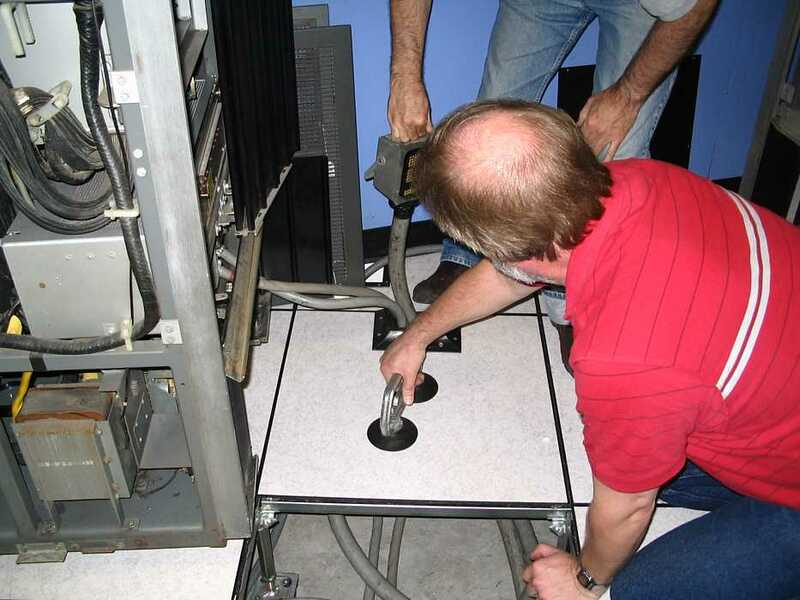 Ron Williams and Don Cull continued the struggle with the Instruction Overlap system in "our" 1401. 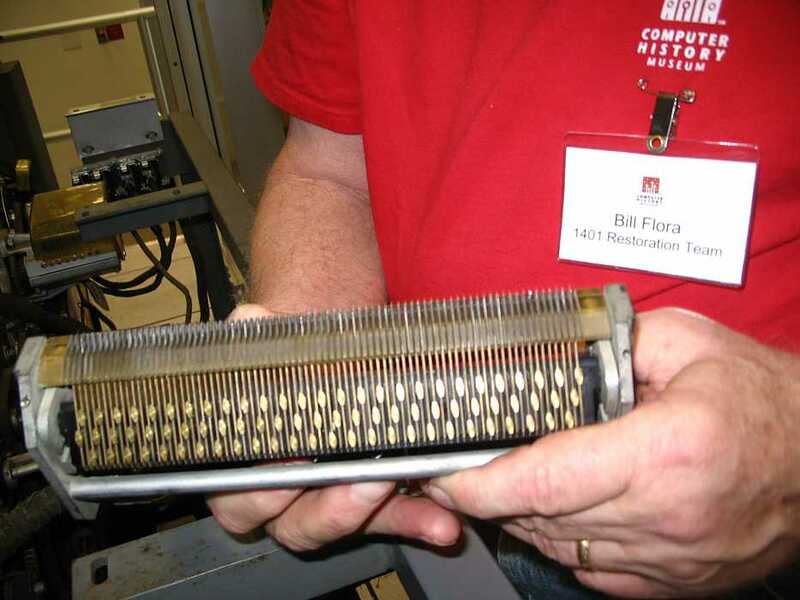 After finding a bad relay coil in the 077 collator last week, Bob Erickson got permission to get a comparitor unit from the 077 in Visible Storage. He found about 9 more open coils in "our" 077. Would you believe Bob can fix watches? This is a view of a comparitor with two relays removed. Just look at that labor intensive construction. Lots of screws, threaded holes, - how to keep it rigid? Not a solid casting anywhere. Many adjustments in here are to 0.003 inches Take out too many screws, and you will have a real thrill trying to get it back together!! Ed Thelen got Xerox copies of the now on-line IBM relay manual from John Van Gardner. He then studied the power supply of a 729 Mod II tape drive and started powering the unit with low and increasing voltages. If all goes well, including replacing a sick looking capacitor, next week we can start load testing this power supply. And here is a sick looking leaky capacitor, old dried leak. The thing actually passes no-load testing! Len Shustek (chairman of the board of CHM) visited the 1401 restoration about 5:30 and had a 15 minute talk with Allen Palmer. (I missed taking a great picture or movie.) 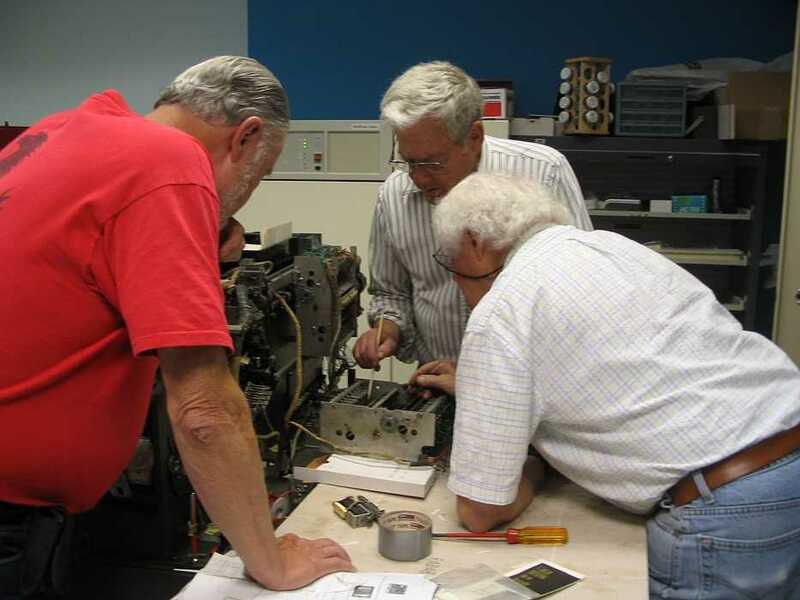 Allen wanted to impress upon Len our desire to train a younger set of people to maintain the various equipments in the 1401 area, including card punch, collator, and sorter as well as the various components of the 1401 system. 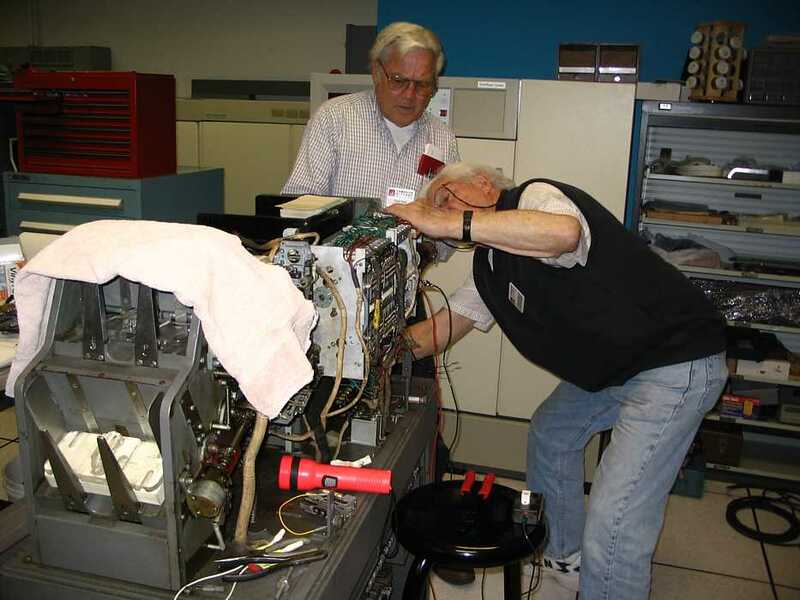 Harlan Snyder and I had a fascinating chat with Al Hoagland, co-author of Digital Magnetic Recording, leader of Magnetic Disk Heritage Center, and developer and caretaker of the RAMAC device now in the old PDP-1 restoration room. 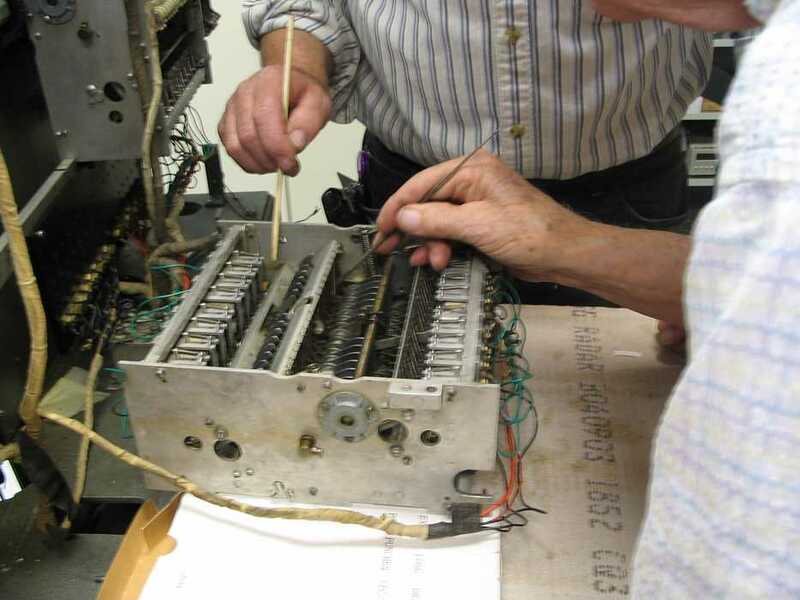 The Santa Clara University engineering students that had been helping restore and interface the RAMAC device are now less involved, and I understood Al to be looking for mechanical and electrical people to help complete the restoration. Al is hoping to capture the restoration/interface knowledge of one the the students during the next month. Al Hoagland has an office at CHM, and may also be reached at ahoagland@magneticdiskheritagecenter.org . Al says that he is writing a book on the first 50 years of the random access disk. Canceled by Allen Palmer on Wednesday May 24th due to faulty 729 drive. Ron C. came in around noon to complete evaluation of the MX cards. Out of 36 cards (144 transistors), I believe that he found about 4 bad cards. (Ron can provide exact numbers and symptoms.) Most significantly, the failure trend that we observed in the APE and APF cards did not continue with the MX cards. This leads me to believe that the transistor failures may have been specific to the batch of transistors. Did IBM stamp the transistors with a date/batch code? Dave, Jeff, and I held an Analyzer Spec. Review session in the afternoon. Dave is getting into the meat of the firmware, so hopefully the review enhanced the common understanding. Next Thursday, we plan to reinstall the MX cards into the drive and continue with the debug of the Tape Write Operation. I have seen the status declaring that the "Overlap Bug" has been shot. The diagnostic decks are on a self near the 1406 Core Storage box and the documentation is in a binder in the rack near the air conditioner. I can't come in on Wednesday, but I am available most of the day via phone (408-464-3286). Thanks, Ed, for opening up the 1401 room and spending some time with Prof. Chen Friday. Chen Yu teaches at Renmin University in Beijing and is one of the leading computer scientists in China today. See http://sinfo.ruc.edu.cn/en/100496/19107.html and http://sinfo.ruc.edu.cn/en/21126.html. Prof. Chen had a nice meeting afterwards with John Toole (CEO of the Computer History Museum). Prof. Chen gave John a brief history of Chinese computer technology. (I wish we had videotaped the meeting.) There may be some collaboration in the future that will get us some Chinese computer artifacts. Present were Ron Williams, Bob Erickson, Tim Coslet, Ron Crane. Jeff Stutzman came in about 3:00. As of 3:30 - Ron Williams announced OVERLAP IS WORKING. It had been stuck ON, and interfered with card reading by the load programs that were not expecting Overlap. The overlap "feature" has connections all through the 1401. While chasing the problem maybe 6 bad cards have been found as bad, still with out fixing the OVERLAP problem. The implications are that we will be able to read cards successfully, and be able to read in a loader and object deck and execute the program. Tim Coslet said that the bad card has an open diode. I had come in Friday and worked on a 729 Mod II power supply. I reformed/verified that the capacitors could handle their nominal voltages - but also noted that the 140 volt power supply (unregulated) was emitting 160 volts when run from the ferroresonant transformer excited by 50 Hz !! Checking further I noted that one of the wires from the ferroresonant transformer to its resonating capacitors had been too close to a bleeder resistor and had the plastic insulation charred - and figured that the wire might be open decreasing the number of connected resonating capacitors from three to two - and maybe that was causing the incorrect output voltage. Tim Coslet worked on the above 729 Mod II power supply and noted that the big green 1,000 ohm bleeder resistor was open, and its wires were also damaged. 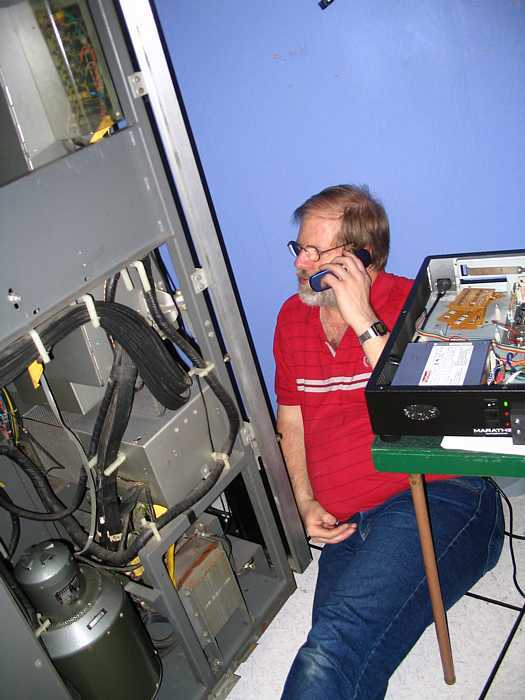 Ron Crane tested 36 MX cards from the rebuilt (green dot identification) 729 Mod V tape drive. Three transistors on those cards had leakage greater than 2 ma. (rather bad) He is replacing them. 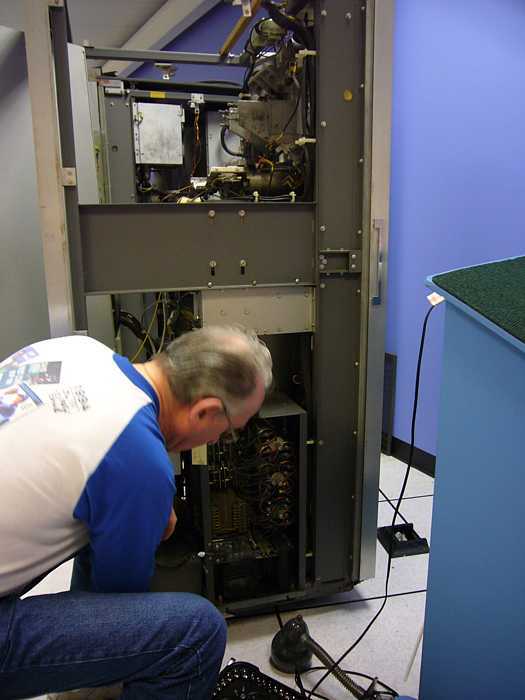 Bob Erickson continued checking and replacing actuator coils in the comparitors of the 077 collator. Allen Palmer says "The cover is the 'head read/write protection' cover. It protects the head up/down mechanism, the wiring to the erase head, lamps and photocells. 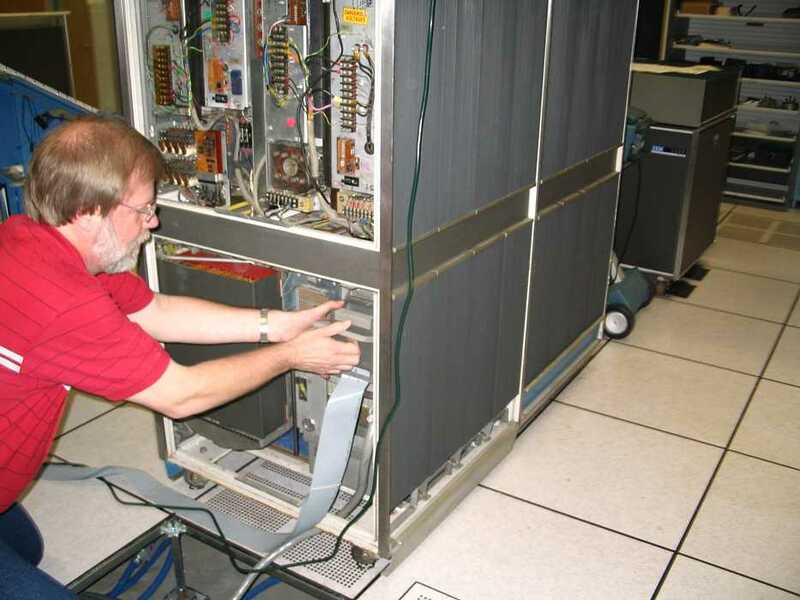 This is Glenn Lea removing a power suppy from a 729 Mod II tape drive. This is the complete stack of magnetic clutches on the shaft with the reel hub on the left. 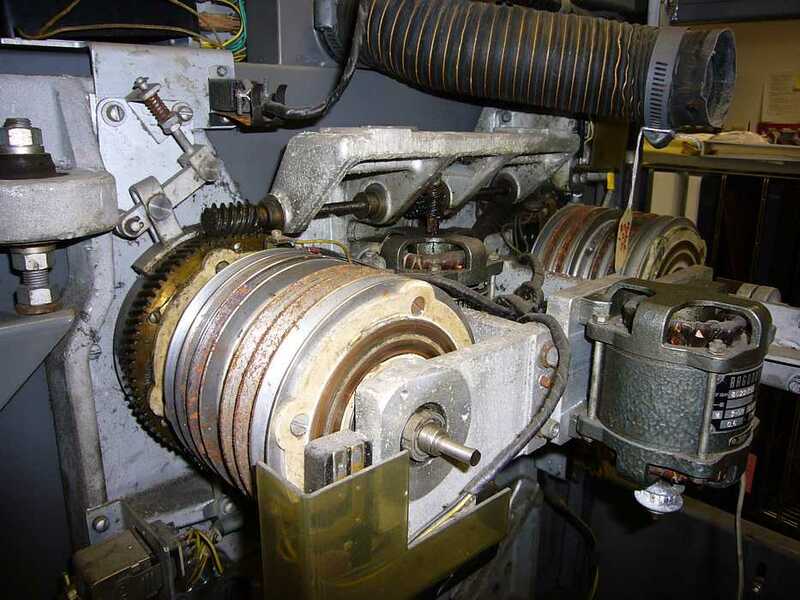 The geared clutch is energized when the reel needs to move slowly as in loading and unloading the vacuum columns. A separate motor turns the worm gear that drives this clutch. Regarding: 1401 Memory Overlap feature. Enclosed are 3 pictures to choose from showing the "Memory Overlap" feature of the 1401 working properly. You can get more details from Ron, but I think that what the scope is showing is the Card reader activating proper timing of a card read and the Memory Overlap feature pulse happening at the end, instead of showing between all other pulses. Present were - oh golly, so many - Ron Williams, Frank King, Glen Lea, Bob Erickson, Don Luke, Chuck Kantmann, Ed Thelen - I'm sorry, I probably forgot a few - this senility is just killing me. Robert Garner was there in the morning. Bob Erickson found so many bad (open) magnet windings that he has decided not to restore the top four of 16 comparitor in each of the two units. I think the last count was 11 bad magnets, he feels that robbing so many from the good comparitor we took from Visible Storage would leave that one too bad. I must remember to ask Dag if we can rewind the bad electro-magnets. Ron Williams celebrated killing the Overlap problem by doing a card reader to printer copy of several diagnostic decks. 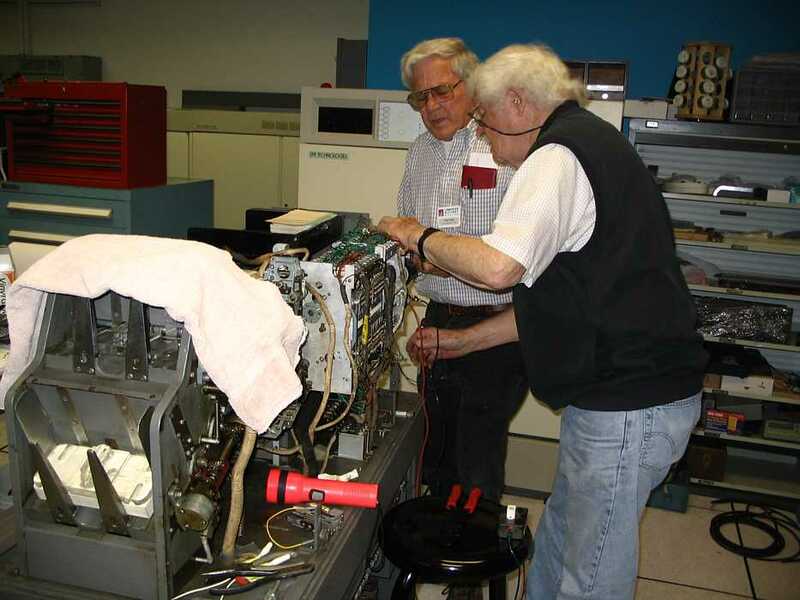 Robert Garner and Ron determined that many of the diagnostic decks were for testing the tape units. Don Luke & Chuck Kantman started struggling with a bad "B" bit in the 8,000-11,999 range in memory. They don't think that is related to the known broken wire in the 1406 unit. - some of the roller bearings in the card path are "lumpy"